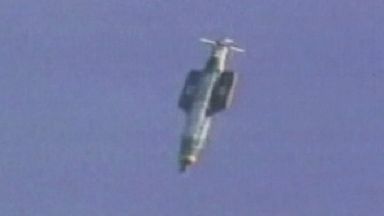 It is first time the GBU-43 bomb has been used in combat by US military offensive. US forces have dropped the military's largest non-nuclear bomb on an Islamic State target in Afghanistan - the first time it has been used in combat. The Pentagon confirmed the GBU-43, known as the "Mother Of All Bombs" (MOAB), was dropped on caves in Nangarhar Province, very close to the border with Pakistan. The GBU-43 contains 11 tonnes of explosives. Its nickname is based on the acronym used by the US Air Force, which calls it the Massive Ordnance Air Blast bomb. The White House confirmed the "large, powerful and accurately delivered weapon" was dropped around 7pm local time. 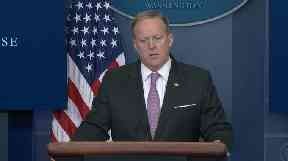 Press secretary Sean Spicer said the bomb had "targeted a system of caves that Isis fighters use to move freely around, making it easier for them to target US military advisors and Afghan forces in the area". Mr Spicer said the US "takes the fight against Isis very seriously" and said the military took "all precautions necessary to prevent civilian casualties and collateral damage as a result of the operation". Pentagon spokesman Adam Stump confirmed the bomb was dropped on a cave complex believed to be used by IS fighters in the Achin district. 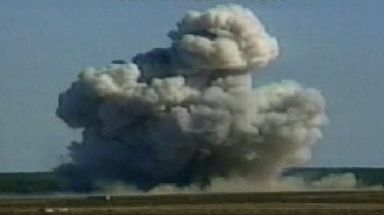 The MOAB was first tested on March 11 2003, eight days before US forces invaded Iraq. It replaces the BLU-82, better known as the "Daisy Cutter", which was previously used to blast caves believed to be hiding enemy fighters in Afghanistan. The Daisy Cutter was also used in the Vietnam War to clear jungle for helicopter landing zones and dropped in the 1991 Persian Gulf War to clear minefields.